Plant allergies are complex. Chief among allergies are allergies to pollen but not everyone reacts to pollen or the same pollen. Some people may also react to touching a plant or odors given off by a plant that have nothing to do with pollen. A medical allergist may be needed to help identify which specific allergens one needs to avoid. This short Visual Guide discusses some of the most common plant pollen allergens, their myths and realities. For more detailed information on specific plants we recommend The Allergy-fighting Garden, by Thomas Leo Ogren. It gives recommendations for specific cultivars of plants that can be good choices. One very common myth about plant pollen allergens is that showy, flowering plants are the culprit. This is usually not the case and has led many an allergy sufferer to malign colorful flowers. Most showy flowering plants have heavy pollen that is transported via bees and other pollinators. It does not freely move on the wind. The real problem plants are those that are wind pollinated. They generally have inconspicuous flowers and can produce copious amounts of pollen. The plants herein are predominantly in this category. Remember: Some of the safest plants are plants with showy flowers that have heavy pollen that is transported by insects. Another botanical reality is that some species are unisexual (called dioecious) meaning they have separate male and female plants. Female plants DO NOT PRODUCE POLLEN. Trees in this group include ashes, poplars and willows. By planting a female tree, pollen is avoided. Most wind-pollinated trees, however, have male and female flowers in separate flowers on the same plant (called monoecious), such as oaks, hickory, hackberry and sycamore. In these trees, pollen cannot be avoided. As said earlier, it may be impossible to avoid airborne pollen when it is being shed but knowledge of the major problem trees may help prevent you from setting up a picnic under a pollen-shedding tree or assist you in making a better choice for a tree next to your patio or a bedroom. The following are some of the most common wind-borne pollen allergen plants. Note there is a special section of trees that have female plants (dioecious). When available, these would be excellent choices to avoid pollen produced by male plants. The following trees have separate male and female flowers on the same tree (except for the last three: elms, zelkova and some maples). Consider that all trees of these genera will shed pollen. They flower in late winter to early spring. These are some of the main culprits of spring allergies. Flowers in late winter to very early spring. Flowering times can vary but most flower in early spring. Shagbark hickory is widespread in Missouri and a bad allergen. Pollen is shed in early spring. Sweetgums are a common source of pollen in spring. Sycamores produce pollen in early spring. Oaks are very common in Missouri and produce large amounts of pollen in early spring. Elms have both sexes in the same flower but produce copious amounts of pollen in early spring. Closely related to the elms, zelkova also have both sexes in the same flower but produce copious amounts of pollen in early spring. They are often used to replace American elms which have been decimated by Dutch elm disease. Most maples should be considered pollen producing. Their pollen is shed in late winter to very early spring. A. palmatum (Japanese maple), however, is a good choice as trees are generally small so produce little pollen. For larger growing street or shade trees a few female cultivars are available (A. x freemanii ‘Autumn Fantasy’, ‘Indian Summer’, ‘Morgan’; A. rubrum ‘Autumn Glory’, ‘Red Sunset’, ‘October Glory'). They do not produce pollen. These small trees or shrubs also produce copious amounts of pollen but because they are smaller and not as widely planted may be easier to avoid. These two trees have bisexual flowers but produce allergenic pollen. Catalpas flower in mid-spring. Their showy flowers announce they are producing pollen. Small yellow or white flowers are produced in spring. These trees are dioecious (have male and female plants). Female cultivars may be available. Remember, however, that female trees will produce fruits or seeds. Fringe trees are either male or female but it may be difficult to find a female tree at a nursery at this time. There is also some concern that it may prove to be a host of the emerald ash borer in the future. Ashes are available as female cultivars but because of the increasing presence of the emerald ash borer in the St. Louis area it is no longer a recommened tree for the St. Louis area. Pollen is shed in early spring on male trees. Although female trees of ginkgo exist that will not produce pollen it is not generally recommended because of the odor given off by ripe, fallen fruit, which many find offensive. Female trees of Kentucky coffee tree exist but finding a female tree at a nursery may be difficult. 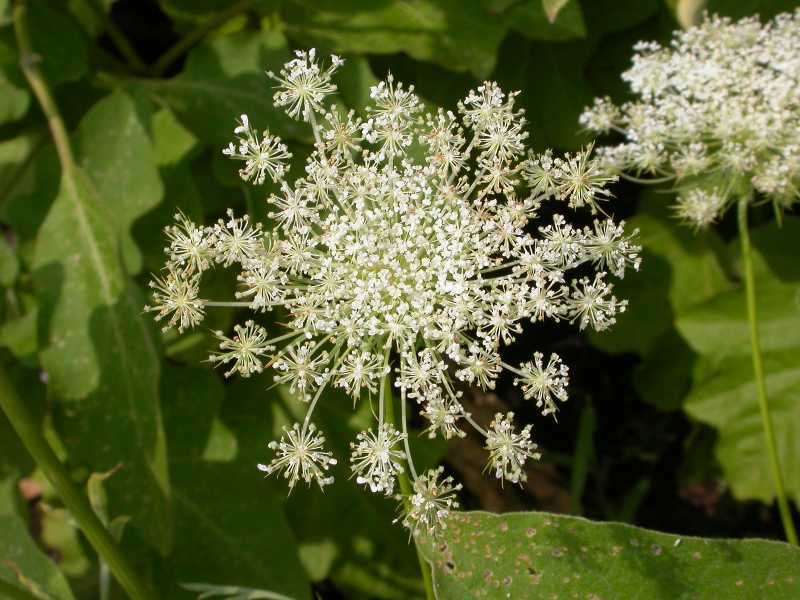 Some gardeners may find this plant's late leaf development, early leaf drop and large seed pods undesirable. Male mulberries are producers of potent allergenic pollen but female trees have the drawback of producing fruit that some gardeners may consider messy if located near a patio or sidewalk. The fruit, however, is relished by birds. Locate the tree where it can be enjoyed by birds. It should be noted that a male tree is also necessary for fruit but most often a male tree will be flowering a reasonable distance away. Blackgum is a highly desirable, attractive tree. The cultivar ‘Miss Scarlet’ is a female. It will not produce pollen, just small blue berries relished by birds. It is noted for its spectacular fall color. Most poplars are male or female and female plants will not produce pollen. Some species, however, may produce cottonseed (a cottony fluff on the seeds) that makes them undesirable for many gardeners. Many poplars are also fraught with diseases that result in branch dieback. Select carefully. 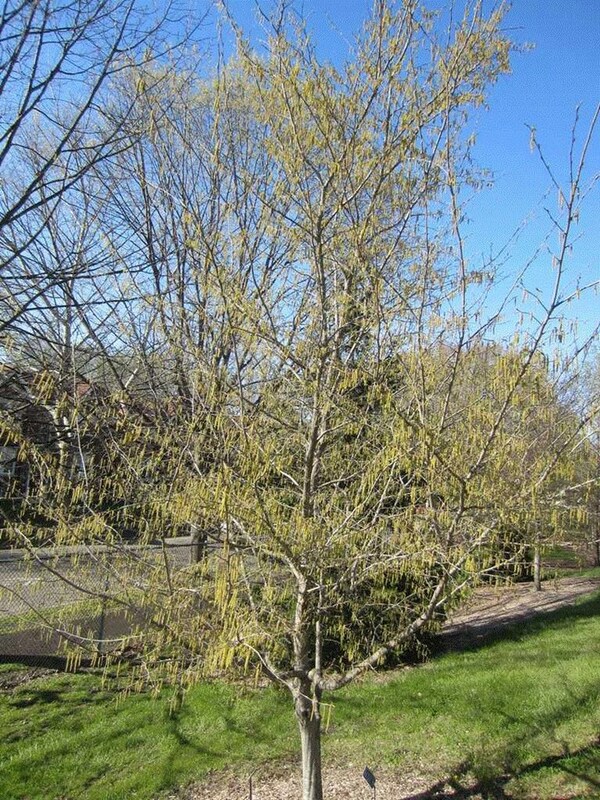 Willows share some of the same disease concerns of poplars above but still there are many female willows that could be good, pollen-free garden plants. Look for female cultivars. Most conifers produce copious amounts of pollen and have male and female flowers on the same plant. Junipers, with careful selection, however, are an exception. Luckily, most conifers shed pollen for a rather short period of time only in spring. False cypress pollen can cause allergies so consider a female juniper plant instead, which looks similar but will not produce pollen. True cypress is not hardy in St. Louis but where it grows (Mediterranean climates) they produce copious amounts of highly allergenic pollen for up to 6-7 months. A plant to be avoided. Junipers are excellent evergreens for full sun but most are monoecious (produce male and female flowers on the same plant). They can produce copious amounts of highly allergenic pollen. Some cultivars, however, are female-only and produce only female flowers (and berries). Choose female-only cultivars to avoid pollen. Pines produce copious amounts of pollen and objects below them can be covered with yellow pollen. Fortunately, reaction to pine pollen is rare, but can still occur. 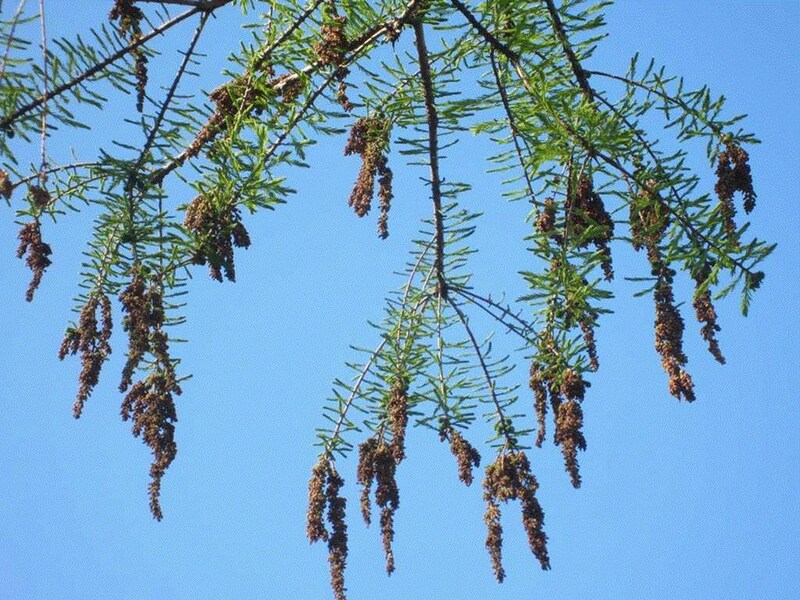 Bald cypress is a known allergen and the trees can release copious amounts of pollen in late winter to very early spring. Trees are monecious so pollen cannot be avoided. Most yews are dioecious so female cultivars are available. Avoid planting close to doors and windows unless a known female cultivar is used. Taxus x media ‘Hicksii’, ‘Kelseyi’, ‘Pyramidalis’, and ‘Sentinalis’ are female cultivars. Others may be available. Arborvitae produce both male and female flowers on the same plant so pollen cannot be avoided and the pollen is shed over a number of weeks in spring. Those allergic to juniper or cypress should avoid arborvitae. Consider that all grasses and sedges will shed copious amounts of pollen, usually from early summer into fall depending upon species. Grasses produce copious amounts of pollen. Lawn grasses are not a concern if they are mowed regularly to prevent for formation of flowers but ornamental grasses and wild grasses should be avoided or the flowers removed before they open. Unfortunately, the flower scapes on many grasses is one of their most beautiful assets. Sedges, depending upon species, may produce either male and female flowers on the same plant or the plants may be single sexed. Identifying a female-only plants may be difficult. They are best avoided or the flowers should be removed as soon as they begin to develop to prevent pollen production. Flowering times vary. 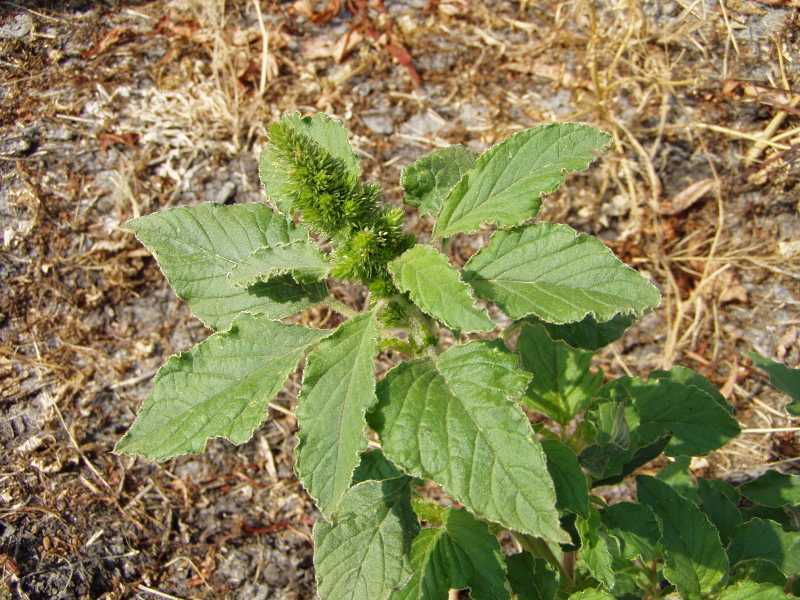 These common weeds can cause allergies when they flower. Small plants are sometimes collected and cooked at pot herbs. Some plants are also grown for their showy foliage and flower spikes. Summer flowering. Ragweed pollen is highly allergenic. It has inconspicuous flowers but flowers at the same time as goldenrod and the two can be found growing together. Goldenrod is much less allergenic. Early fall flowering. 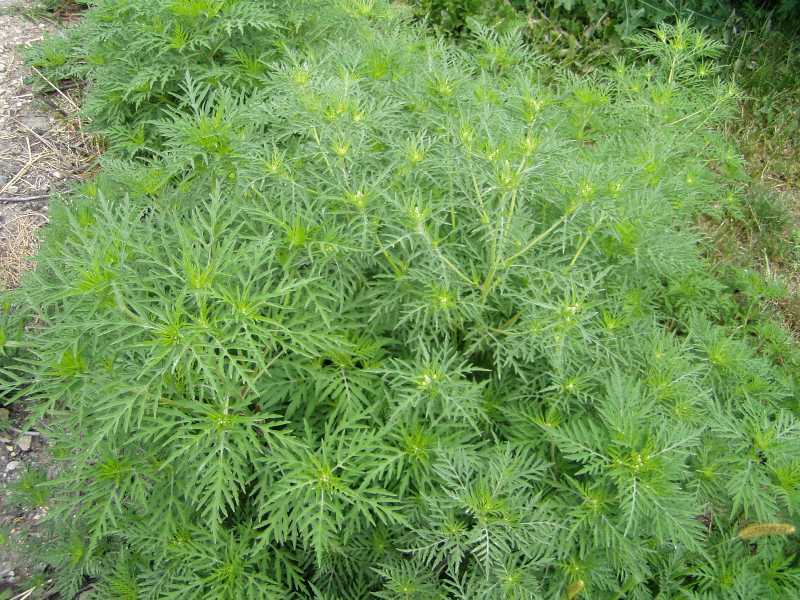 Artemesias range from weeds to desirable garden plants grown mainly for their attractive foliage. 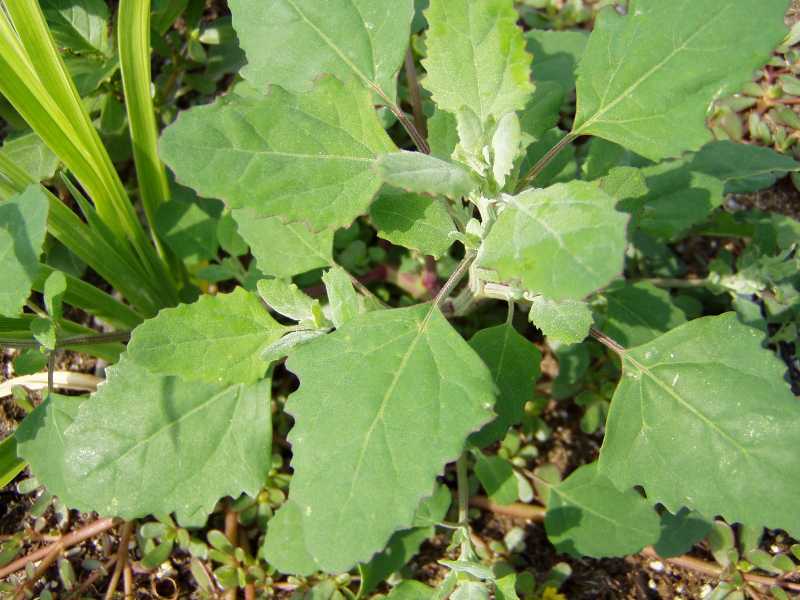 They are closely related to ragweeds and are best avoided if you are allergic to ragweed. Or, remove any flower spikes that form before the flowers open. The flowers are usually not very attractive. Summer or fall flowering. Highly allergenic but some species are grown and cooked as a pot herb. Other species are poisonous. Some species have separate sexes so all female plants could be grown. Summer flowering. 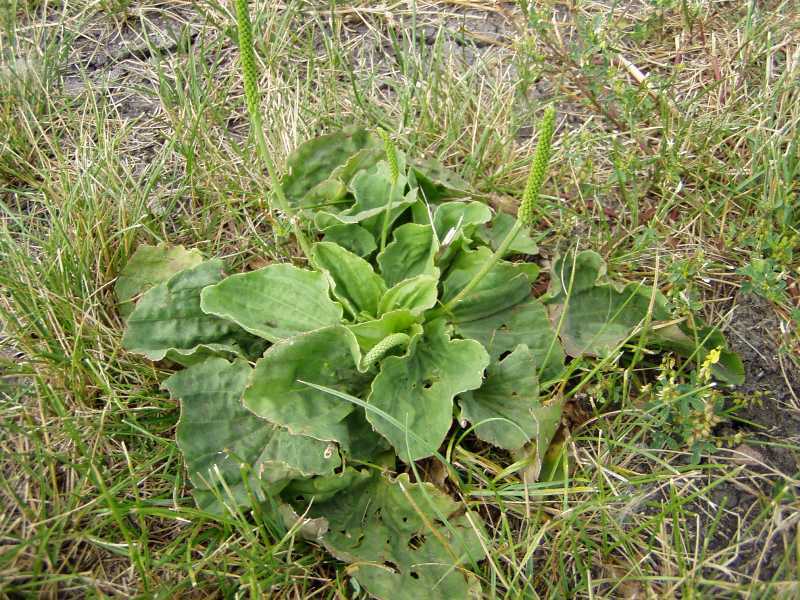 A common roadside weed of disturbed areas. Summer flowering. 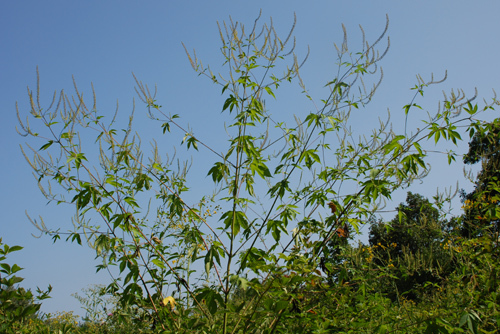 Goldenrods are often blamed as being the cause of allergy attacks when it is most often ragweed that is flowering at the same time and location. Still they can cause allergies. Their pollen is heavy and not very airborne. Keep them at the back of the border and view from a distance. Fall flowering. Sneezeweed isn't called that without a reason. Why not plant Rudbeckia or Helianthus instead. Summer into fall flowering. This common lawn weed can cause allergies when it flowers. Spring, summer and fall flowering. In addition to all parts of this plant being poisonous (especially the seeds) castor bean can cause allergies. 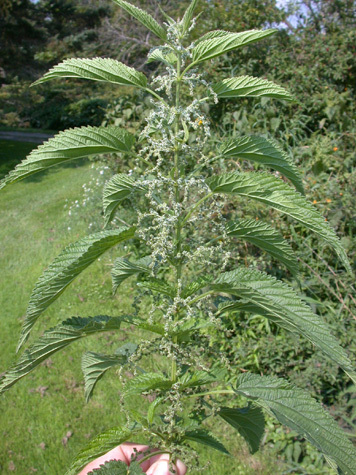 Some individuals are highly allergic to the plant. Don't plant it if you develop an allergy to it. Summer into fall flowering. Nettles are separate sexed but who would want to get close enough to find out especially when some are stinging when touched! Male plants produce copious amounts of wind-borne pollen. There are many weeds in this family. Learn to recognize them and avoid them. Spring flowering.